Slav de Hen was created in 2005 by George Marinov (Guitar) and Svetoslav Bitrakov (Drums) - two well-known musicians from the Bulgarian underground scene. Their first instrumental, electronic, trash-jazz album was recorded in 2006 "Tavata". 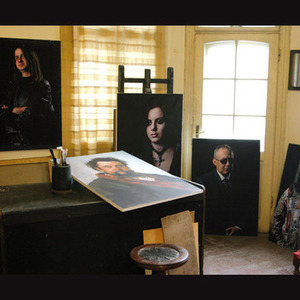 In 2007 Svilen Ivanov (Bass) and Petya Dankova (Vocal) joined the group and they recorded their second album "Pictures at an Exhibition" - a punk-jazz version of Mussorgsky's piano suite.